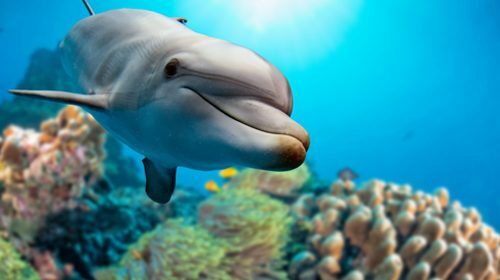 Using teeth to gather data on ocean pollution might seem like an unlikely method; however, when the teeth involved are those of dolphins, then the idea might not seem so improbable. In new research from New Zealand, scientists from the dental faculty at the University of Otago are now doing exactly that to find the impact industry is having on the ocean ecosystem. The study, being run by Dr Carolina Loch, is looking at metal contaminants. Dr Loch believes that the data recovered could be helpful in measuring the impact industries like mining have on the ocean. Contaminants in marine environments are a particular health risk as they are absorbed into teeth and bones. Dr Loch said: “One of the key issues is that the wastewater from mining and city pollution goes back into the marine environment, and it comes back to us when we consume seafood”. Dolphin teeth reliably record contamination because toxic metals and trace elements from their diet are incorporated into enamel and dentine throughout life. The teeth being used are from bottlenose dolphins, who do not migrate so Dr Loch and her colleagues from New Zealand and Australia are able to more accurately compare metal exposure in teeth from supposedly low-polluted areas in New Zealand to a high metal exposure area in South Australia. According to Dr Loch, she expects that high concentrations of toxic metals in teeth will be correlated with increased industrial contamination, while decreased levels will be in areas of improved environmental practices.